There are many places associated with Anne Brontë and her sisters: Haworth, of course, where they lived the majority of their lives and which is now a place of literary pilgrimage; Thornton near Bradford, where the last three Brontë sisters, and their brother Branwell, were born; Scarborough, the coastal resort where Anne Brontë lies buried; Mirfield, where Charlotte, Emily and Anne went to school, and where Anne gained her first job as governess; Penzance, home of the Branwells, and of the Brontës’ mother and aunt. 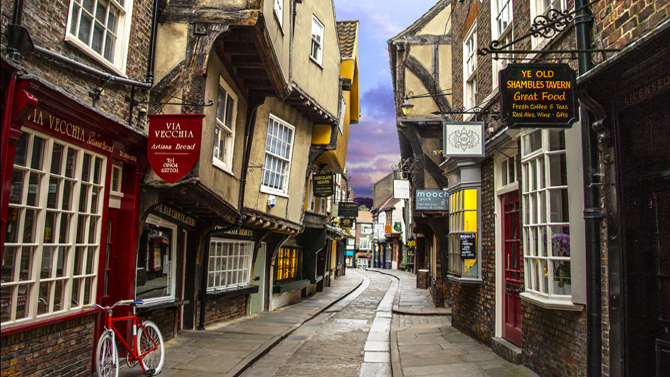 There is another location that is particularly worth visiting: the capital city of the Brontës’ home county, York. York is a beautiful and historic city, full of Roman walls and Viking artefacts, not to mention more museums than you can shake a stick at. Today it draws tourists from across the world, and streets like the higgledy-piggledy Shambles are thronged with camera snapping folk, but in the 1840s those same cobbled streets were often walked by the feet of Anne Brontë. 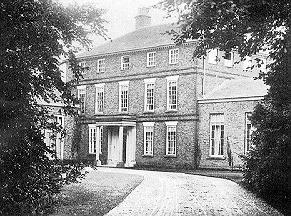 In May 1840 Anne took her second governess position, to the Robinson family who owned the grand Thorp Green Hall at Little Ouseburn. The Robinson family were very different to the Inghams of Mirfield near Huddersfield who Anne had originally worked for, and they are represented in ‘Agnes Grey’ as the Murrays. Anne, despite bouts of homesickness and some may say love sickness in her early days there when William Weightman was in Haworth, by and large enjoyed her time at Thorp Green Hall. It came to an acrimonious end of course, as did so much in Anne’s life. Little Ouseburn itself is around a dozen miles from York itself, and Anne would occasionally travel there in company with her charges the Robinson girls. She fell in love with it’s even then ancient and haphazard architecture, and she would also enjoy visiting the shops where she sometimes spent her spare money on sheet music that she delighted in playing upon the piano, whether at Thorp Green or on her returns to Haworth. 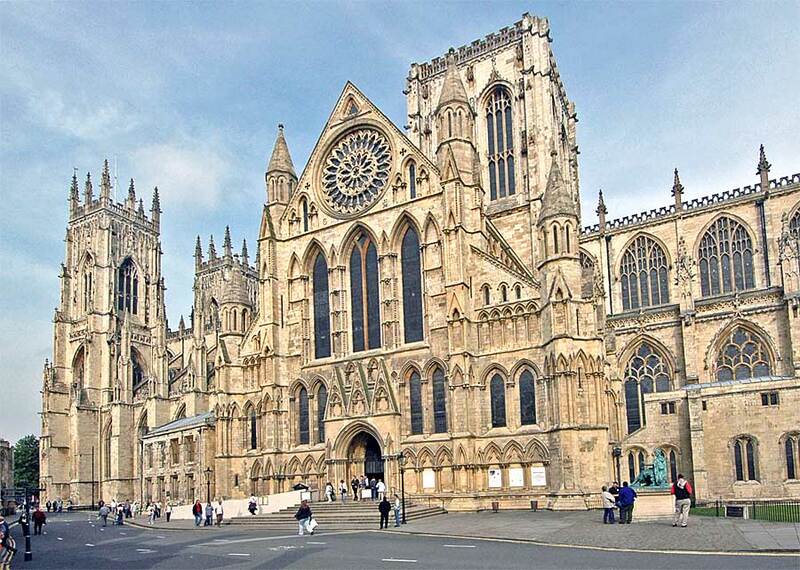 There was one York building in particular that she was drawn to as if by some magnetic force: York Minster. Home to the Archbishop of York, in Anne’s time the aristocratic octogenarian Edward Venables-Vernon-Harcourt, it was first built in the 11th century, and expanded upon greatly in the centuries that followed. By May 1849 Anne was dying of tuberculosis, and about to embark on her final voyage to Scarborough, the coastal town she loved so much and where she lies now. This also gave her one last chance to see York, and she, Charlotte Brontë and Ellen Nussey arrived there on May 24th. They stayed at the George Hotel on Coney Street, across the River Ouse from the railway station. The hotel is now gone, but in its place is a mobile phone repair shop, and the original archway and bay window of the hotel can still be seen. In York, at Anne’s insistence, they did some shopping to buy the clothes they would need for Scarborough, and Charlotte noted down the acquisition of items including bonnets and ‘ribbon for neck’. 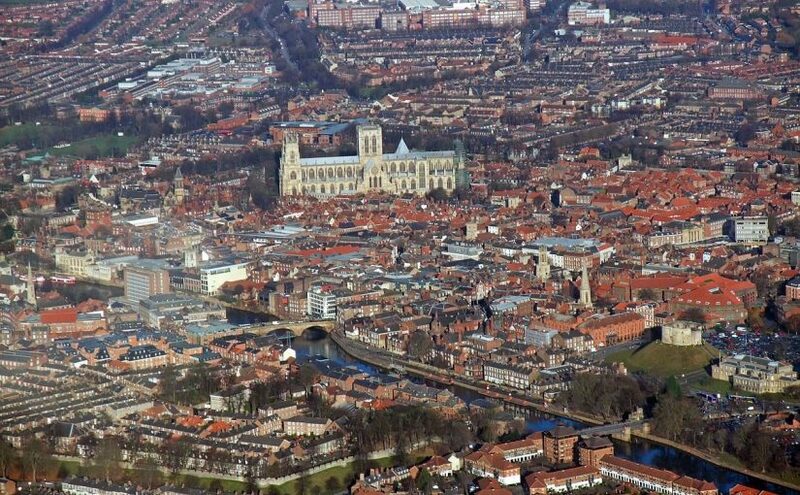 There was one place above all that Anne wanted to see one last time; York Minster was drawing her back again. By that time too weak to walk any distance, Charlotte and Anne pushed her there in a bath chair they’d hired. Seated in a back pew Anne gazed up silently and lovingly at the magnificent surroundings. She whispered one half finished sentence: ‘If finite power can do this, what is the…’, before Charlotte wheeled her back to the hotel, worried that this rush of emotions might finish her sister off forever. It was clear what Anne was thinking – if weak man’s powers can create something so magnificent, how magnificent will be the creation of God that I am soon to see? This was indeed Anne’s last visit to York, but the city today, despite the ever present throng of tourists, retains much of its old world charm. It is a timeless city, effortlessly beautiful. A city walked by Romans, vikings, later the birthplace of infamous Guy Fawkes, and now our generation walks its streets in awe and wonder. As we do say, we may imagine we see the shade of a bonnet wearing women walking ahead of us; small and diminutive, she is yet a literary giant to those who know and love her. I came to Haworth, York and Scarborough I love all these places. I find that the parsonage is now a little too commercialized. It is not the place I came too 25 or so years ago. The thing that I did find a very profound experience was to see the lock of Charlotte’s hair and the little drops of Anne Bronte’s blood on a her handkerchief she embroidered and pricked her finger when she sewing, very, very moving yet I can’t explain why. Then there is the grave of Anne in Scarborough, she is there without any of her family with her. Yet to be honest I think she would prefer to stay there overlooking the North Sea. To me whilst Charlotte and Emily where fantastic authors the giant was Anne. I was very annoyed when I read of Charlotte’s attitude to both Emily’s and Anne’s work and her interference in these masterpieces. She was jealous perhaps? We will never know. Well said Derek, I agree on all your points. I always find the handkerchief particularly moving. It’s not on display this year, hopefully it will be back soon. ‘If finite power can do this, what is the…’, ” your interpretation is good. I always felt she meant if finite power could do this , surely the Infinite could still heal her and that the trip was not in vain. Anne’s insistence on hoping up to the last day or so was remarkable in a woman who prided herself on being a realist. While there is life, there is hope and a false hope is better than none. Thanks Anne! I agree with your views on Anne’s hopes – like Pandora’s box, at the end that’s all we’re left with.